Suzanne Freshley, adult choir director at Albright follows her father’s lead, as he directed all the choirs at Albright from 1952-1972; and she claims him as her finest teacher. 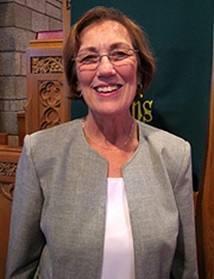 Prior to coming back to Milwaukee from the Chicago area, she has directed the children’s choirs in two churches, and was the assistant director of the Community Renewal Chorus and All God’s Children in Chicago. She has also diercted the Holiday Chorus at Northern Trust Bank, her employer in Chicago. Musically, she is also a singer, flutist, and pianist. Spiritually, she is a Lay Speaker, member of the Worship Committee and a regular Liturgist at Albright, and is so happy to be a apart of this vibrant, active group of people that make up the Albright UMC family. I began by learning to play the flute and singing in the church choir at St. James UMC as a youngster. Later on, as an adult, I began doing session work, then singing in a band. We did weddings, performed at Milwaukee’s Summerfest, reunions and festivals. I then joined the Heritage Choral, and have been for 21 years singing with the Milwaukee Symphony Orchestra Choir, the Florentine Opera (Porgy and Bess), at Carnegie Hall, and representing Wisconsin at the National Cathedral in Washington, DC. Then, through my sister Joan I found Albright United Methodist Church, and I am having a lot of fun directing the Zion Choir here. I attended Alverno College for Nursing, but changed my mind and went to Respiratory Therapy school. I have been working at St. Luke’s Hospital for 37 years. I was born in Russia and received early musical training in St. Petersburg. I studied Music Education at State Herzen University, where I finished with both a Bachelors and Masters Degree. After moving to the United States in Pittsburgh, PA in 1999, I studied Piano Performance at Duquesne University, were I received a Masters Degree and Artist Diploma. I have taught piano lessons for more than 18 years. 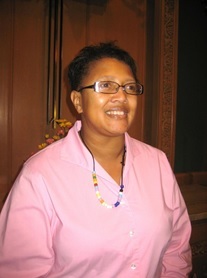 I’m a former faculty member at CCAC and pianist at Free Methodist Cornerstone Church (Pitsburgh). My professional experience also includes a substitute organist (several churches around Allegheny County), a judge for an annual children’s competition orgainzed by PMTA, a choir accompianist, as well as a singer for the Bach Choir of Pittsburgh. I love music and it has always been an important part of my life. I currently work at Brass Bell music store as a piano instructor and teach music privately. I look forward to sharing my love of music with you! !